Doin some TSP on the ice ?? 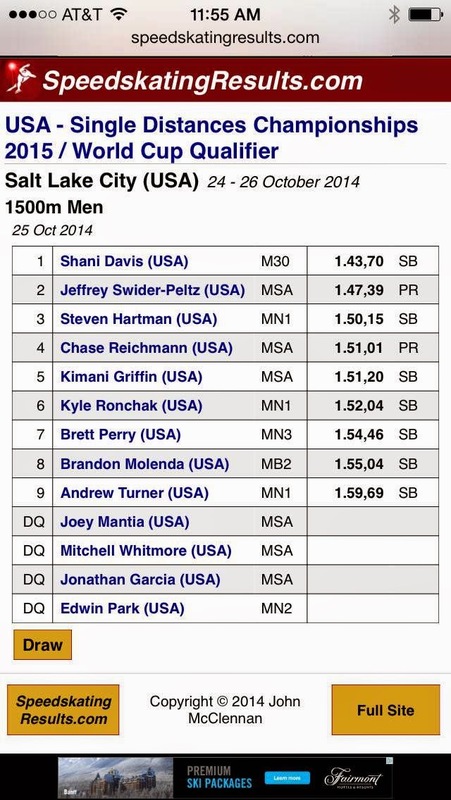 So I just missed the 1000 meters spot but qualified in the 1500, 5000 and Mass Start!! But it was also great to smash a couple of personal best times in the 1000 and 1500 meters, so I can see that I'm continuing to improve each year. I'm so excited though cause this is my first World Cup Team and I'll be competing at all four of the World Cup competitions!! Praise the Lord. SLC when I arrived (below). Thanks Peter, Sarah and everyone at the Hampton Inn in Jordan Landing for always making it a fun place to be at. 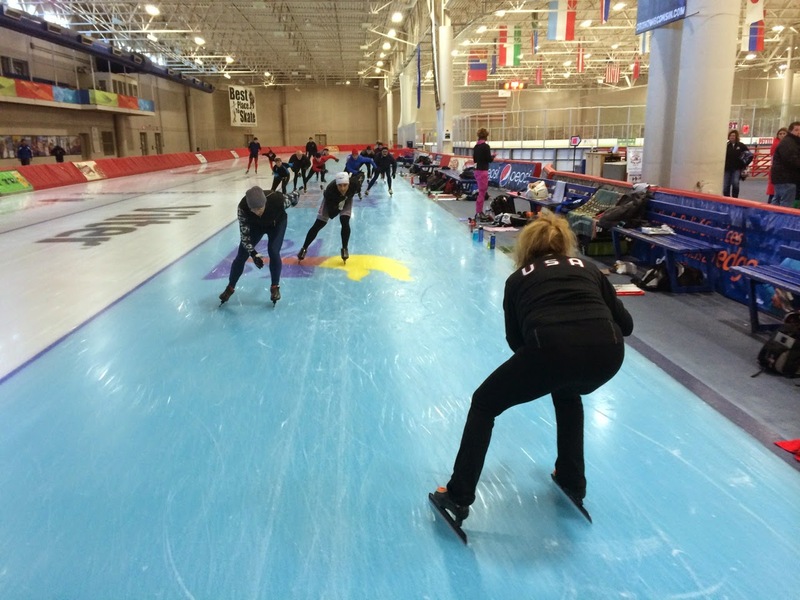 Already raced a 500 meters and 3k at last week's "time trials" after just about four weeks of training on the ice. And coming from some great off-ice training this summer, I was already able to see some big improvements in these races–which included crushing a personal best time in the 3k. So cool! Olu Sijuwade also recorded all of the time trial races in a 15 minute video I put up below. My 500 meters begins at minute 4:12, and my 3,000 meters at minute 14:14 (navy skinsuit, white boots). Thanks Olu! I know these times may be confusing to some of you but if you do understand then you'll know why I'd be happy starting off a season like this–as racing in the beginning of the season often starts off slow. Coach and I, along with Matt Hickson and Bruce Connor, had the privilage to coach a clinic for masters skaters last weekend. Still not sure how many of you all came, 30–35? It was so fun to be around a bunch of older kids that love skating and worked with such concentration to improve their technique–you guys are what skating is all about (Trish, I still say you gotta chill out cause you were so focused that your face always looked angry haha). Also, I wasn't sure how coaching on my legs all day and continuing to train would work but I was still able to pull off some great workouts! And of course, thanks Glenn Corsoe for setting up the who shebang. Thanks Peter Haeussler for the photos!